Property damage claim ... Covered on insurance, or not? How to know! Property damage claim … Covered on insurance, or not? Summer seems to finally be here and we’re all spending more time on outdoor projects. This is the perfect time to spruce up the house – and inspect it – for wear and tear or any safety hazards that need to be fixed. Remember, putting off that maintenance work can lead to expensive repairs down the road. Remember, many of the losses that can result from lack of maintenance are not covered by your homeowner’s insurance. “Homeowners insurance is designed to protect you from sudden and accidental losses that could be a fire, windstorm, theft or a broken water pipe.” It’s not intended to cover maintenance-related issues such as water damage from a leaky roof or a cracked foundation. Here are a few maintenance expectations that will affect if you qualify for insurance and/or whether your claim is covered or not. Your roof coverings cannot be missing, broken, lifting, curling, deteriorating, or showing signs of vegetation or moss growth, which can lead to eater damage inside the dwelling. Gutters, downspouts, or fascia are not broken, hanging loosely, or disconnected from down spouts, which could fall or cause injury. Gutters and downspouts are clear of moss, vegetation, and other debris which could cause water to backup or ice- damming to occur. No signs of interior water damage, cracks, un-repaired damage, or separation in the interior walls, flooring, and ceilings. Paint is not cracked, peeling, or displaying signs of extreme wear. No storage of solvents, automotive fuels, rags, refuse, or paper in the vicinity of heating systems, which could ignite and cause a fire. Improper, inadequate, frayed, or warn wiring. Insufficient number of circuits for the number of appliances in use. Installed circuits such as those added to existing circuits without the use of junction boxes. No evidence of leaking or rusted pipes. Space heaters, hot water heater and furnace are properly vented and appropriately distanced from walls and furnishings. Porches, decks, patios and all steps are not broken, cracked, warped, sagging, unsupported, or missing any sections or handrails. Handrails are required 3 or more steps or decks with raised surfaces of 30 inches of more. Premises is free of any debris, clutter, disabled or unusable vehicles, disables or unusable appliances, discarded lumber, dead vegetation, or scattered trash. All swimming pools and trampolines are in a fenced yard. If a certificate of compliance is received, the risk will be acceptable. This is a list of some of the major maintenance issues homeowners’ encounter. You should check with your insurance provider to see what other acceptable maintenance and conditions are expected of you. This is to give our reader an idea of how maintenance issues can affect your coverage’s. At Rapid Recovery Service we are qualified and experienced in handling any and all maintenance issues. We handle claims with all insurance companies in all of Southeast Michigan. Rapid Recovery Service has over 50 years of combined experience in the insurance restoration industry. 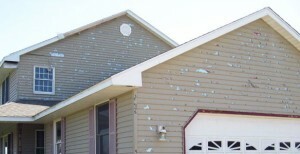 Our staff has the expertise and knowledge to repair any type of damage properties in Southeast Michigan. We take pride as your representative between you and your insurance company to ensure that you are informed of every step that takes place in the process of repairing. We are in the best interest of you!! Not the insurance company!! !